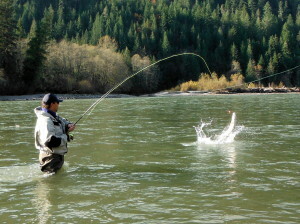 At home on a river, a lake or a blue water destination, I love all types of fishing! Cruising down quiet streets on my bike, heading to Mills Creek with my best friend on a hot summer day hoping to catch enough brook trout to make the willow stick hanging on my handlebar bend in the middle – I don’t think life could have been any better at eight years old. This memory of mine is what inspires me to do what I love most…sport fishing. Some would say I’m addicted to fishing, others would say I’m obsessed…whatever it is doesn’t matter, because for me when the fish are biting life still doesn’t get any better. 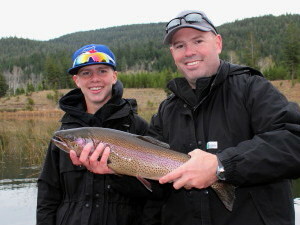 Besides the many pleasurable hours fishing with family and friends I’ve also engaged in many activities that have improved my knowledge of angling in the Okanagan Valley and beyond. Being a Prostaff member for Gibbs-Delta, Scotty Downriggers, Shimano, Lowrance, Simrad, G.Loomis, PowerPro, Jackall Lures, Silver Horde and SA Fly Lines has really helped me hone my skills further by fishing and talking with other Prostaff members and sharing our experiences. 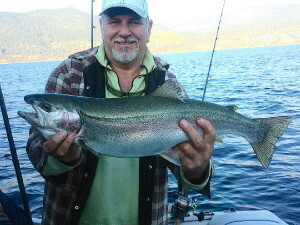 Always in pursuit of catching the ‘Big One’ I’ve fished the West Coast of Vancouver Island for Halibut and Salmon, to the rivers of the Fraser Valley for Sturgeon and Steelhead, to the many lakes of British Columbia for Rainbows, Lake Trout, Bass and Kokanee. The past 6 years I’ve fished Cabo San Lucas for Marlin, Sails, Dorado, Tuna and Roosters and Belize for Bones and Tarpon. 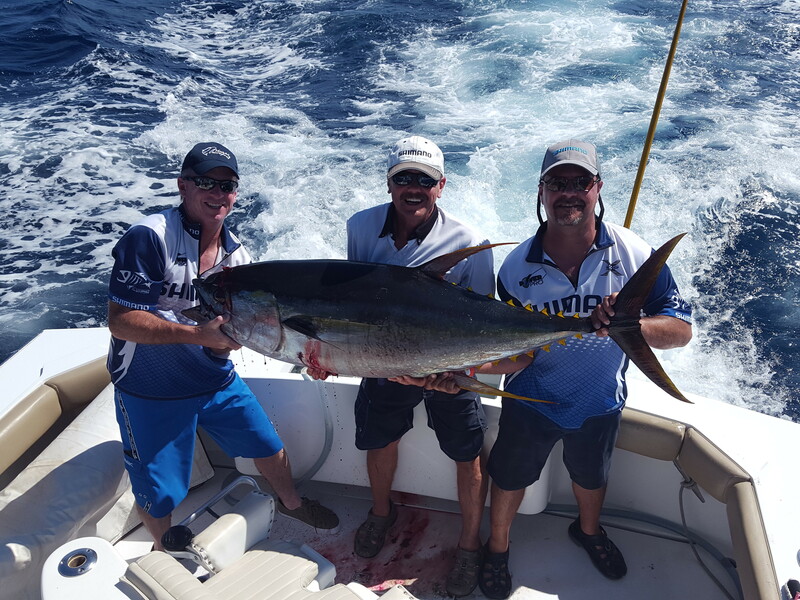 Since 2016, myself and fellow Shimano Pro staffers formed a tournament team called “Tag Cabo Sportfishing” where we annually fish the Cabo San Lucas Tuna Tournament. We are fortunate to have a great company like Tag Cabo Sportfishing as our sponsor. We haven’t placed in the money yet but are having a blast trying. 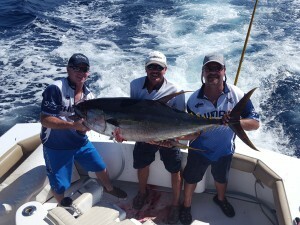 Our largest Tuna to date during the event is 116#, a new personal best for us. Can’t wait for 2019! I’ve written numerous articles for Anglers Atlas, Suncruiser Magazine and had the pleasure of landing a 16 lb. 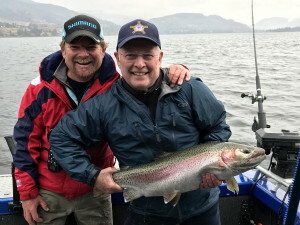 Rainbow Trout in my home town of Kelowna, bringing home the first place trophy in the annual Frostbite Fishing Derby. 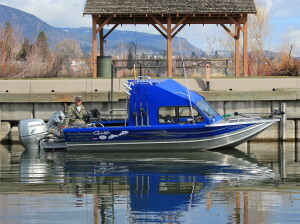 I’ve also had the privilege of guiding Chris Burns of Sportfishing Adventures for a TV episode on Osoyoos Lake. 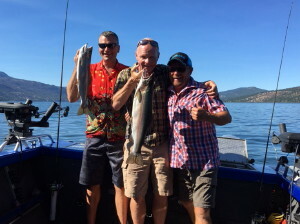 As well, I’ve fished with Brian Chan of the Freshwater Fisheries Society of BC on Shuswap Lake the past 2 years filming episodes for Shaw TV “Go Fish BC” series. Beyond fishing, I do have other interests which include, camping and spending time with my wife and two boys cheering on our favorite football team…GO HAWKS!!! But even though I enjoy these things, fishing is still my passion. And now, something that started as just a fun activity in my childhood has evolved into a REEL Outdoor Experience, an adventure that will help create memories in a place where time slows down. On location at Shuswap Lake filming an episode for Freshwater Fisheries “Go Fish BC” TV series with Brian Chan. 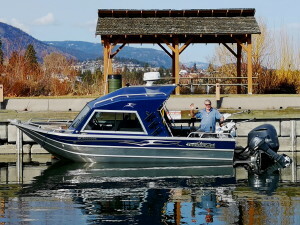 On location at Osoyoos Lake filming an episode with Sportfishing Adventures host Chris Burns and guest host Noah Cantor. Participating in the 2016 Cabo San Lucas Tuna Tournament as “Team Shimano”. Although we didn’t place in the money we set a new personal best at 116#. Trolling for Marlin we ran across this Sail on the surface… I quickly tossed a rigged live bait and the rest is history. 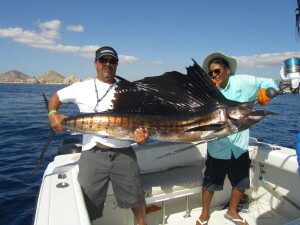 A quick picture and this beauty Sailfish was released to be caught again. There wasn’t many opportunities to fish growing up on a farm in southern Saskatchewan. There were plenty of lakes within an hours drive to fish for Northern Pike, Walleye and Perch but working on the farm was long hours and usually 7 days a week and that didn’t allow for much time to fish. We did manage a northern fishing trip every year in June, which helped curtail the fishing bug but that was never enough. After leaving the farm in pursuit of a career in construction, I moved from Alberta to Ontario and then finally the Okanagan in 1993. I new immediately Kelowna was the perfect place. Soon after arriving I purchased my first boat and although a family boat, I converted it to a fishing boat that served me well over the years. 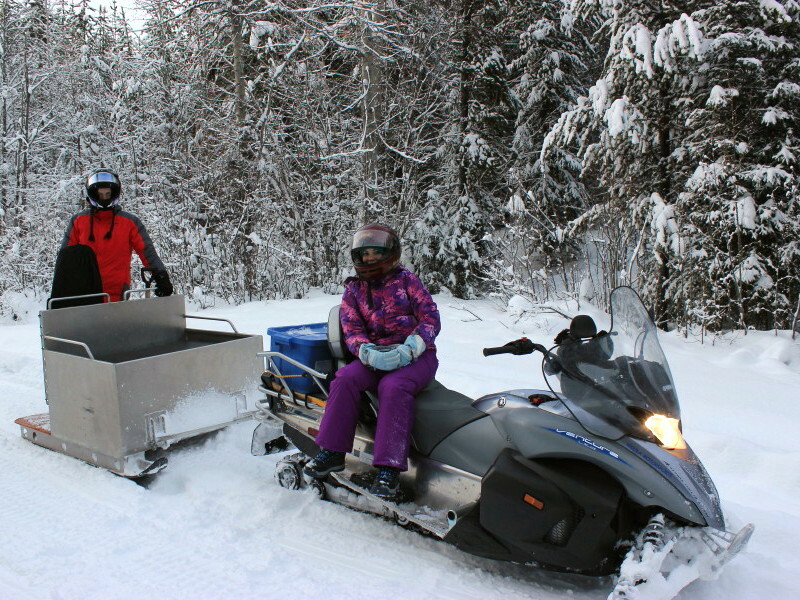 Recently I purchased a 22′ Thunderjet Tyee Welded Aluminum boat…my second home! Over the years I’ve fished the large lakes of the Okanagan, the Kootenays and traveled to the West Coast fishing for Salmon & Halibut. In my quest to be a better fisherman I’ve started tying bucktails and air brush painting custom fishing lures, repurposing old lures into new. The gratification of catching fish on a lure that I’ve created is priceless…especially the ones to boast about! With retirement just around the corner I’m looking forward to spending more time fishing, meeting people from around the world and providing them with an experience they will not soon forget! 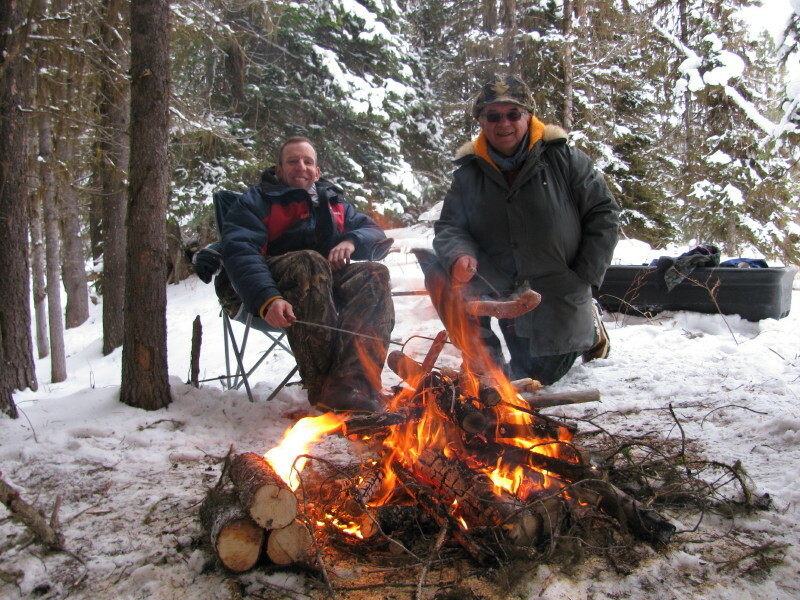 Tim’s love of the outdoors, fishing and hunting, began in Ontario at a very young age where every summer was spent on the lake. Relocating to BC in the late ’90’s he was awed by the mountains, rivers, and beautiful lakes within the Okanagan Valley. 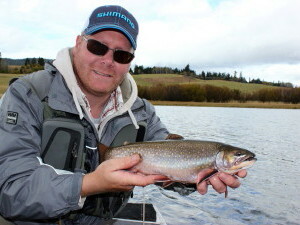 Tim finds great satisfaction in teaching others and sharing his vast fishing knowledge and expertise to others. A “People Person” having been in the customer service industry for 30 years, first as a chef then running a world class Boutique Inn located near Haliburton Ontario. Besides guiding for Rodney’s REEL Outdoors Tim is a self employed contractor. Tim has always carried a satisfaction guaranteed work ethic and it’s obvious in the pride and quality of his boat and gear. 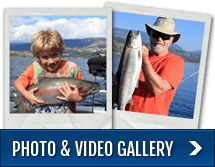 As a participant in the Okanagan Salmon Community Initiative (OSCI) he consistently was the top producer every year during the Sockeye fishery on Osoyoos lake. 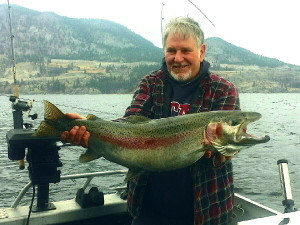 Tim’s “The Man” when it comes to fishing on Osoyoos lake for Sockeye Salmon. His outlook on life and sense of humor will keep you entertained right up until you hear… FISH ON! 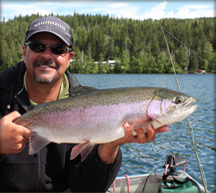 Guests are always smiling when fishing with Tim…FISH ON!